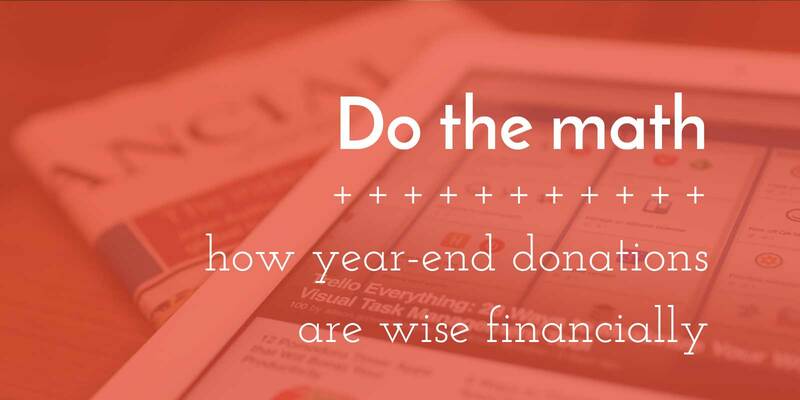 If you’re working at a nonprofit, you’re well aware that year-end Giving Season is well on its way. As you aim to pull on the heartstrings of donors so they feel inclined to give their extra income to your cause, you may want to key in on another aspect of donations. Though it makes donors happy to know their donation can make a large impact in someone’s life, you can also point out the relationship between charitable donations and financial strategies. There are times when, from a financial perspective, it make sense to donate money as opposed to keeping it in savings. Donations to qualified charities are considered tax deductible expenses so they can reduce your taxable income, lowering your tax bill. If you want to know more about this topic, dive into the full post at Investmentzen.